KAMPALA- President Yoweri Museveni has blamed the opposition for what he referred to as the long-running mismanagement of Kampala. 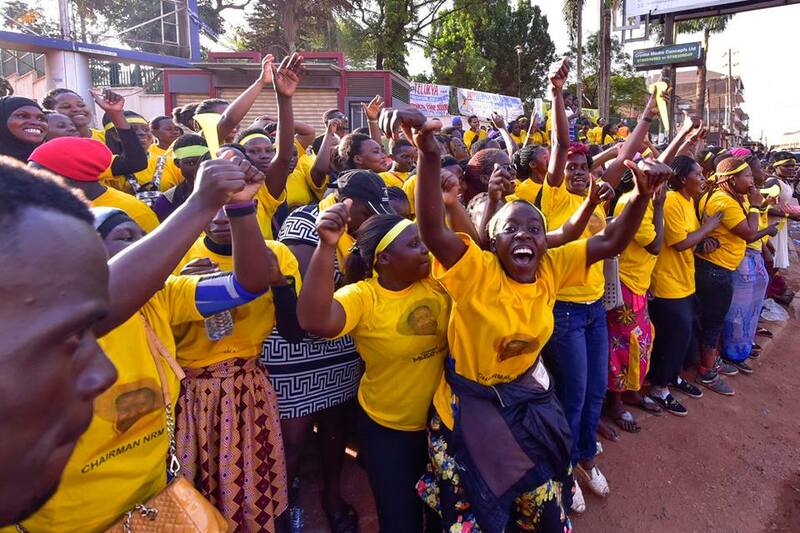 Museveni made the remarks while addressing traders at Nakasero market where he began his day-long tour of different traders’ groups in the city centre. “I am told this is partly due to the leadership wrangles among the taxi park stakeholders facilitated by opposition leaders in the city. Stop electing selfish leaders who only care about their salaries,” Mr Museveni said. The city traders had recently raised concerns sitting high rental fees, high electricity tariffs imposed by landlords and exorbitant charges for sanitary facilities among others. However, the president said that his government is working out modalities of retrieving the market titles from the rich and hand ownership back to vendors. he tasked Kampala Capital City Authority (KCCA) to oversee management of these markets. “Rich people should not interfere in ownership of markets. 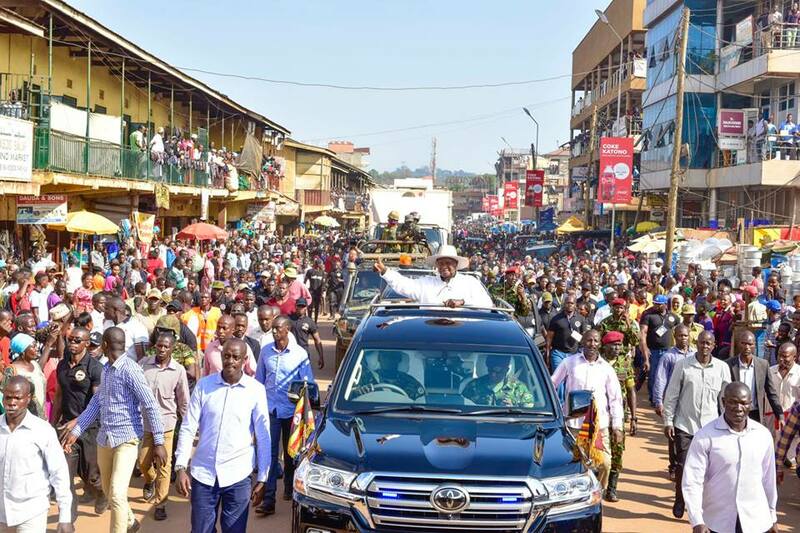 “Previous, bad leadership in the city caused the sale of markets to rich people who have inconvenienced and driven off the poor from these facilities,” Museveni told traders. 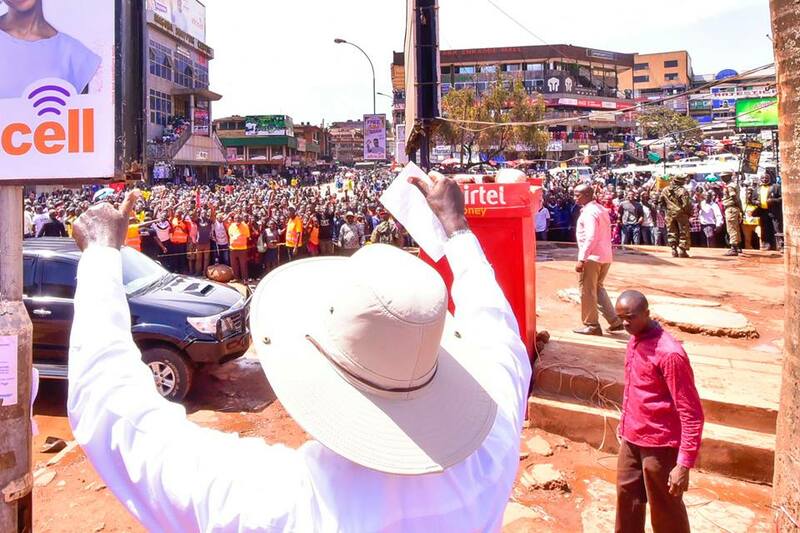 The president also commended traders in Owino and Nakasero markets for working hard to create wealth through their Saccos and responding to NRM call but he said he was unimpressed by the poor state of the Old Taxi Park. “It is extortion for landlords to charge electricity fees higher than known Umeme rates. It is illegal and it has to stop. I have directed the minister of energy together with KCCA to ensure this stops immediately. KCCA should also stop the practice of charging fees for places of convenience,” Mr Museveni said. He further pledged to support the business community especially those willing to get into manufacturing, saying that this will help the country to cut down on imports of items like clothes, whose raw materials are available in Uganda.